The 5th New York Volunteer Infantry, also known as “Duryée’s Zouaves”, was a volunteer infantry regiment of the Union Army, during the American Civil War, led by Colonel Abram Duryée. Modeled, like other Union and Confederate infantry regiments, on the French Zouaves of Crimean War fame, its tactics and uniforms were different from those of the standard infantry. 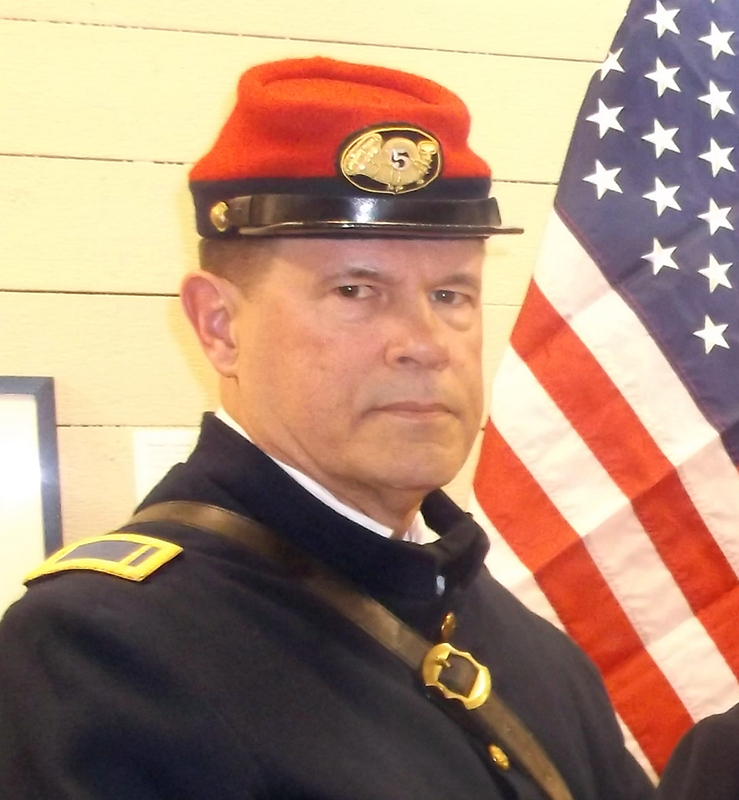 A retired history teacher of 35 years from the Somers Central School District in Somers, New York, Bill Wienecke is a “living history” re-enactor whose portrayals include; General George Washington, Revolutionary Continental Line 5th N.Y. infantry, 3rd Westchester, N.Y. 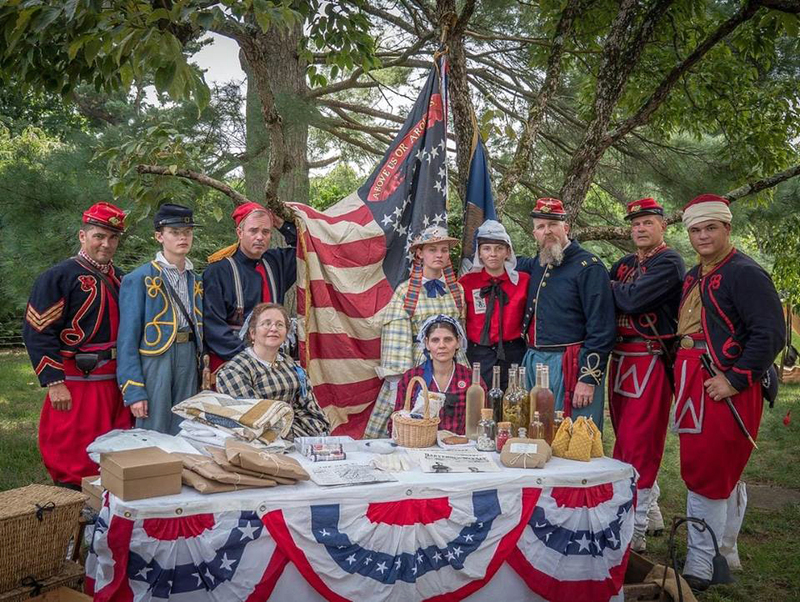 Militia, French and Indian War period Verplank’s N.Y. Provincials as well as a living history portrayal of an officer and private in the famous Civil War regiments; Duryee’s Zouaves 5th N.Y. Volunteers Co. D \ 95th N.Y. Warren Riffles, of which he is the living history organization’s president. Bill has taken part in historic re-enactments including anniversaries of: The 225th Battle of Yorktown, Virginia, the 225th Battle of Saratoga, the 150th Battle of Gettysburg, the 150th Battle of Second Bull Run, the 250th Battle of Fort Niagara and the 250th Battle of Fort Carillon reenactments, along with numerous others historic commemorations. He has done presentations as “His Excellency” at Washington’s Headquarters in Newburgh, the Purdy House in White Plains, Fort Ticonderoga and at various schools, scout and DAR gatherings. Bill graduated from Cortland State College in 1977 and has a Master’s degree in history from Iona College in 1981. He is a 2010 graduate of the Mount Vernon Summer Teacher Institute. He was awarded “Teacher of the Month” by radio station WHUD in 2011. He is the 2011 recipient for “Outstanding Living History Program” awarded by Colonel Philip Ryan, Commander of the decorated United States Military Special Operations 160th S.O.A.R. Night Stalkers. He was awarded the 2013 “United States National Citizenship Education Teacher Post Recognition Award” from Somers VFW Post 8213. He received Town of Somers recognition for “commitment to the students of Somers” with a Proclamation of “Bill Wienecke Day in Somers” May 23, 2014. He is recipient of the 2015 National Society of the Sons of the American Revolution’s “Bronze Good Citizenship Medal”, and in 2017 was awarded the “Old Bet Award” for promoting regional history from the Somers Historical Society and in 2017 also received N.Y.S. Senate Resolution No. 2176 in recognition of 10 years of organizing the Somers Middle School Living History Day promoting history and honoring Somers service personnel.